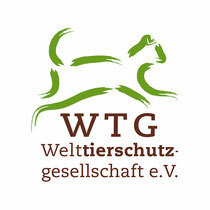 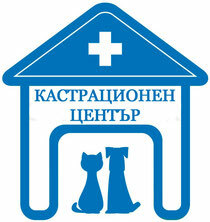 The presented material belongs to the foundation “Take me home!”. 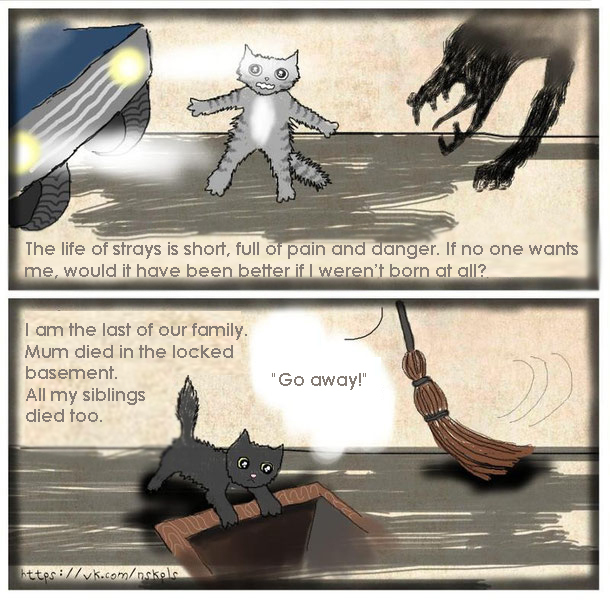 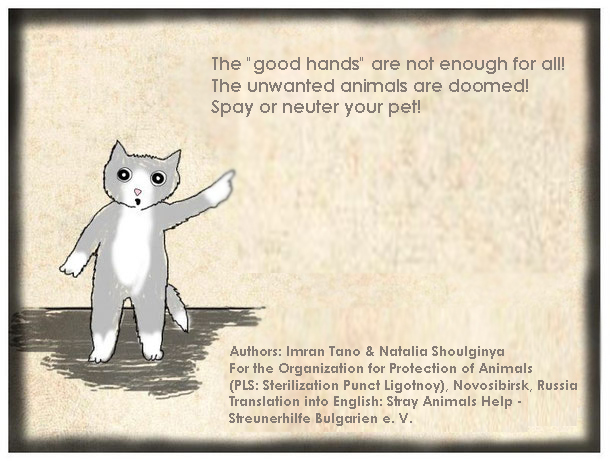 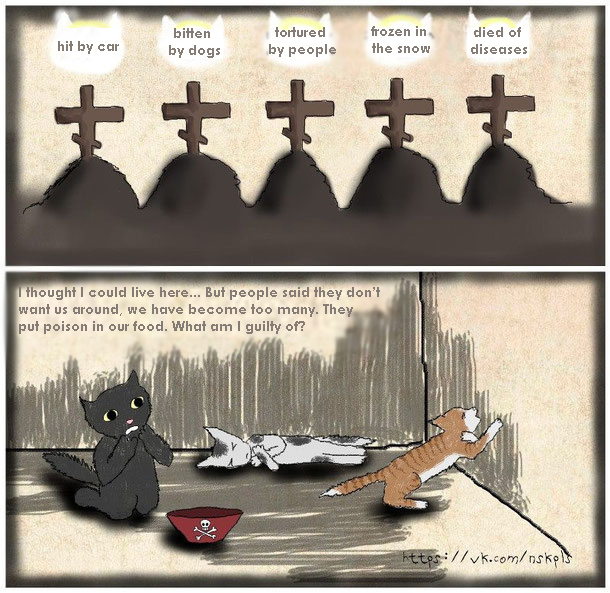 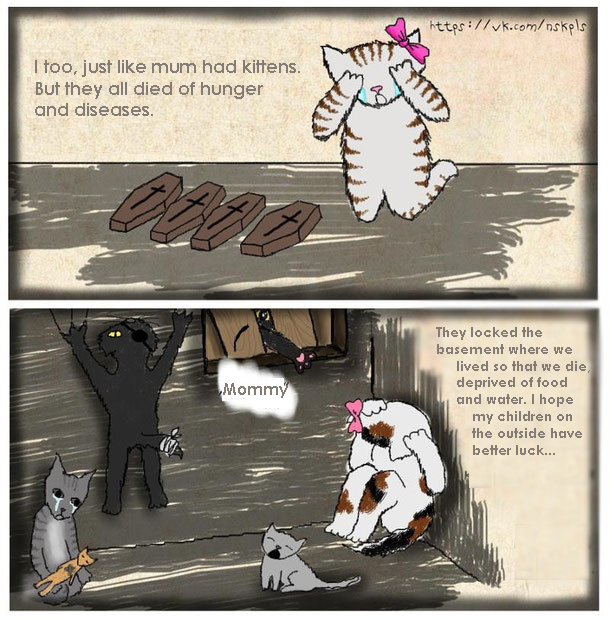 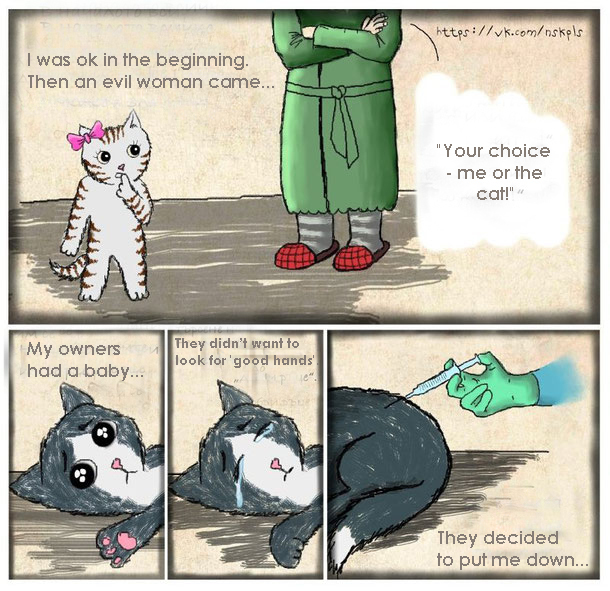 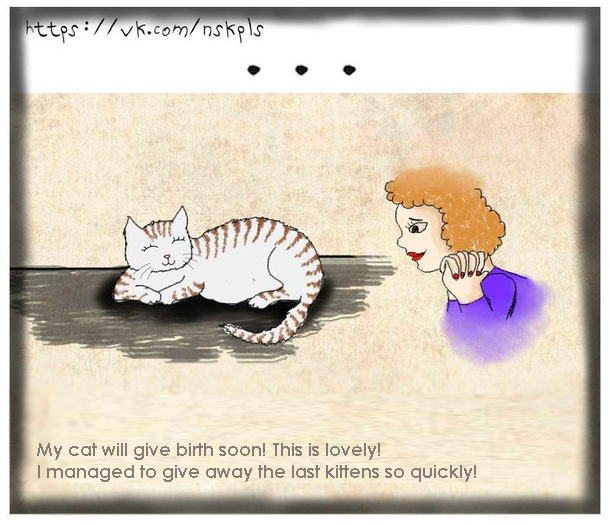 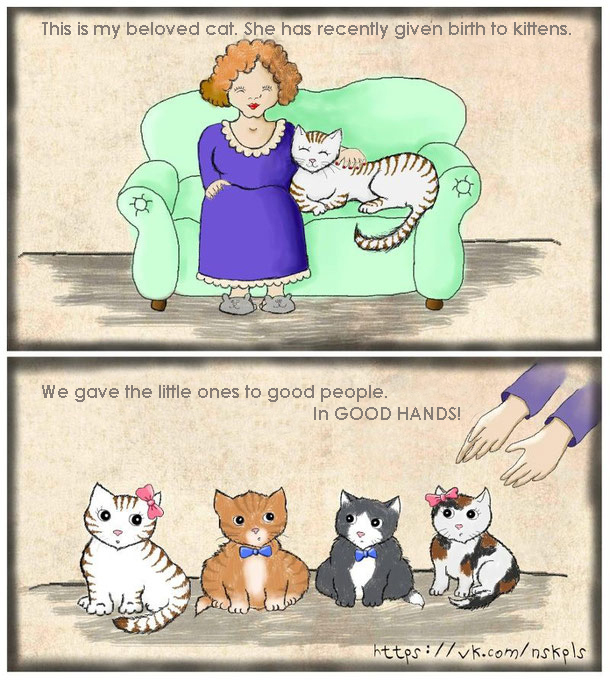 "In Good Hands" is a short comics published on the Foundation's website, which tells of the lives of several generations of home-bred kittens. 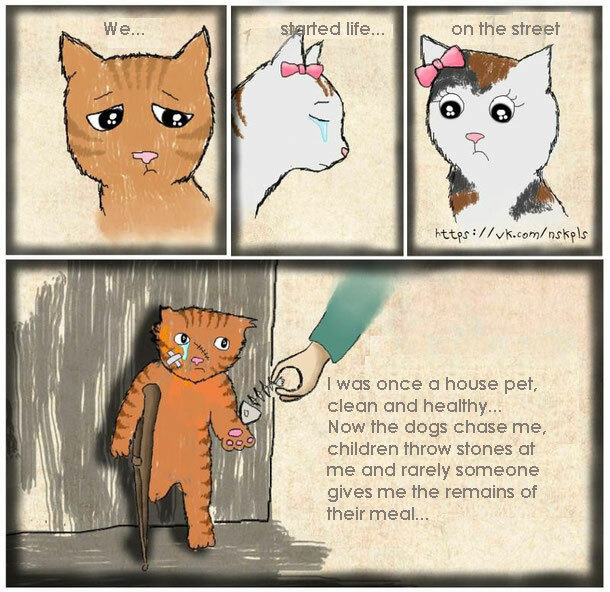 This is a sad reality, this is a fact we have been struggling with for years - people throw out their pets and their pet's litters in the moment they find them to be an obstruction - when moving, when a child comes in, at any change - including simply because they were tired of them.